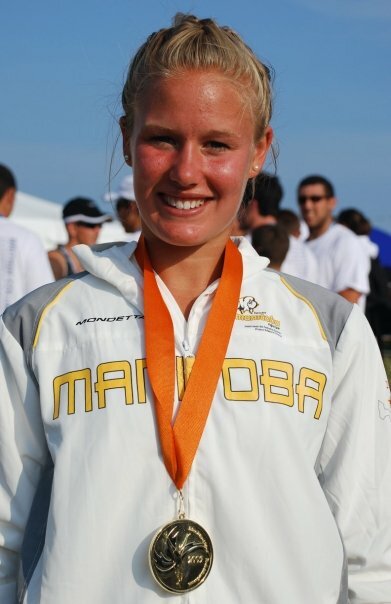 WRC’s Claudia Blandford will bring home the Gold medal for Team Manitoba after winning the Women Single Scull final on the last day of rowing at Canada Summer Games. Blandford, along with the rest of the Manitoba Rowing team are in Prince Edward Island were the rowing event wrapped up today. Blandford won the 1200 meter race in 4:55.06, beating Ontario’s Laura Cowal (4:57.23) and BC’s Laura Wilkinson (4:59.06). Winnipeg Free Press highlights rowing Gold medal.